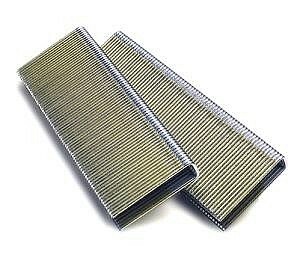 PRODUCT: N-15 Series Staples (Senco type). 1-1/4" Leg x 7/16" Crown, 16 Gauge, ELECTRO-GALVANIZED, Chisel Point. 10,000/Box. Price/Box.